"Never tire of Allied Hire!" Allied Hire Chelmsford is going from strength to strength in expanding its business throughout the South East with the recent opening of our Chelmsford branch. By complementing our existing operations in Brentwood and Thurrock Lakeside, we are now the largest independent vehicle hire company operating in South Essex. We at Allied Hire Chelmsford are extremely proud of our extensive and comprehensive range of first class vehicles - many of which are but a few months old. Naturally, our fleet of vehicles is maintained to the very highest standards. As a response to customer requests, we also carry satellite navigation systems and sack barrows for hire. 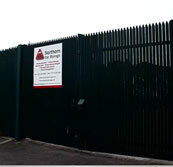 Whatever your hire requirements, we have the desired quality machine at your disposal. Whether it's an economy car for those leisurely and touristic pursuits such as sightseeing or an executive model for an important business trip, our up-to-date fleet is second to none. If on the other hand, it's a removal van with which to move house that you seek or a replacement minibus for a school trip abroad or an annual sporting tour, then look no further than Allied Hire Chelmsford. It may well be that you are stranded after a vehicle breakdown or you may simply prefer the convenience of having your hire vehicle delivered directly to your home or place of work. Alternatively, you may be without transport and wish to avoid the cost of a taxi to get dropped off at our depot. Whatever your circumstances, Allied Hire Chelmsford will happily deliver your hire car, van or minibus to you. 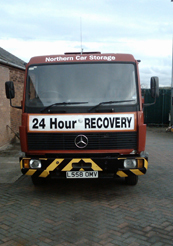 Our 7.5T slide bed recovery truck is capable of transporting up to two hire cars or a car and a van. And you will be pleased to know that we will deliver and collect anywhere within a 25 mile radius of our Chelmsford branch. Allied Hire Chelmsford is very well located for access to the European Cross Channel ferry port at Dover as well as for the Channel Tunnel at Folkestone. 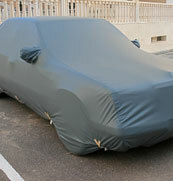 All of our vehicles including cars, vans, minibuses and trucks may be driven abroad. If you are thinking of driving in Europe, you will find lots of useful and important information on our website. Our collaboration with SIXT Rent-A-Car means that we are able to offer a quality international car hire service. Relocation to the Continent (especially to Spain and France) is becoming increasingly more popular these days. Allied Hire Chelmsford offers a great van hire package at a fraction of the cost of a traditional removal company. Our flexible service includes a choice of vehicles, such as a 7½ ton Mercedes truck with tail lift. A special driver's licence is not required so you could save a lot of money by going it alone. You also have the option of using one of our qualified drivers for either the return trip or both ways should you so desire. Allied Hire Chelmsford is a proud member of the British Vehicle Rental & Leasing Association. The BVRLA regulates the vehicle hire industry and as such we are annually audited and accredited which ensures that our vehicle hire service is of the highest standard.